"Found out a little cheaper to book the bus tickets from the travel agencies in Hanoi than online. Each passenger was given a packet consisting of mineral water, bun, a packet of nuts & tissue. Total time taken to Sapa was 6.5h with two rest stops along the way. Overall the service was great with comfortable reclining seats along with a safe and smooth ride.". 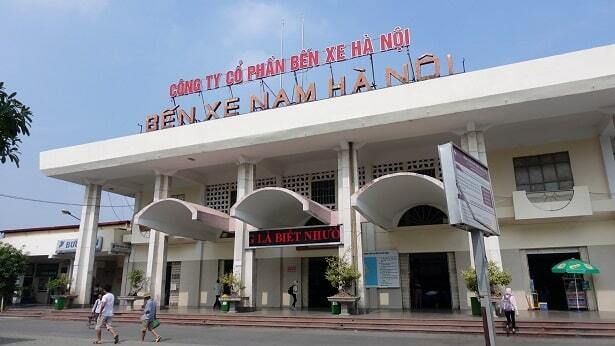 Hanoi - is easily reached by bus from the international terminal, if you arrive by plane. The journey takes about 1.5 hours to the city center. Luggage is allowed on board of the buses. Would you like to continue traveling by bus through the country, there are several bus stations in Hanoi. The terminal below are called with the destination, so you choose the right terminal and bus. There are also "open-tour buses." These "open-tour buses" usually depart at the offices of tour operators in the city center. Not on a bus terminal. A hotel or guesthouse can arrange tickets for you, but it pays to shop around. A busy and quite chaotic bus terminal is Giap Bat. It's the main gateway from Hanoi to the center of the country and the southern provinces. 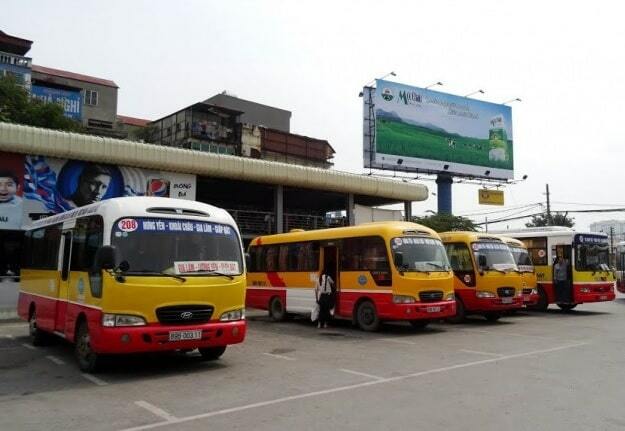 There are frequent bus services to Haiphong (every half hour), Nam Dinh (every half hour), Nghe An (every hour until 11:00), Ninh Binh (every hour until 11:50), Ho Chi Minh City (10:00 ; 13:00; 15:00; 18:00; 08:00). Make sure you walk straight to the main building to buy tickets and to prevent you're being harassed by bus drivers that want you to take their coach. This is the newest and most modern bus station in Hanoi. From the My Dinh bus station depart daily buses to the north and northwest. This bus station should be marked on your calendar, if you're planning to cross the border with China. In My Dinh, there are also buses, which depart to Sapa and Halong Bay. The bus terminal is a few kilometers northeast of the city. Buses leave from here to the northeast, but also to Ha Long Bay, Lang Son and Haiphong. The bus station is located three kilometers southeast of the center. Here you can depart to the east, north and Cat Ba islands are. Address: No.3, Nguyen Khoai Str., Hanoi. These buses depart daily to the northwestern part of the province of Hai Phong Sai Gon, Ha Tinh province, Chi Linh (Quang Ninh province), Vinh City (Nghe An province), Dong Trieu (Quang Ninh province), Que Vo (Bac Ninh province), Uong Bi (Quang Ninh provinice), Ha Long), Cam Pha (Quang Ninh province). 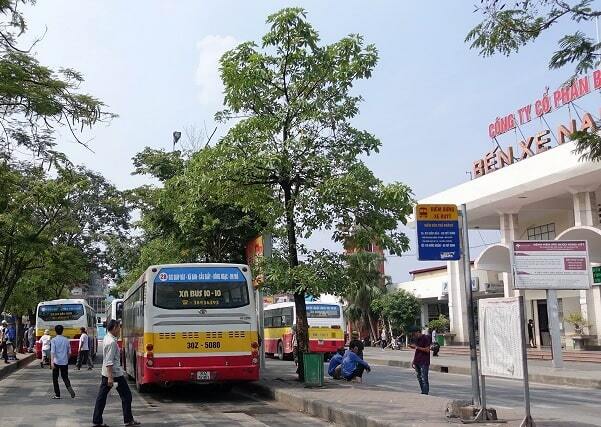 This bus station focuses on the routes to provinces in central Vietnam, including Nghe An, Ha Tinh. Address: No.8, Giai Phong Str., Hanoi. "We arranged the trip from Hanoi to Sapa via our hotel (La Siesta). It was efficient and comfortable - staff were service oriented. We travelled back to Hanoi on the hung thanh bus. Although we had read the warnings we wanted to get back to Hanoi earlier than all other services offered. They were offering an 8.30 am departure rather than 2-3 pm of all others. So I booked the trip via the hotel (they didn't issue a ticket - saying that this was common practice). I was at the tour desk when the booking was made. When we got to Sapa I found the Hung Thanh office and confirmed my return booking (just to be sure - and told all OK). When my wife and I arrived at 8 am the next day the same man in the office could not find the booking and because I didn't have a hardcopy of the ticket - this was my problem! He had no people skills whatsoever and got very angry when I mentioned the hotel I booked from and the confirmation I received the previous day. He eventually relented and angrily waved us onto the bus. The bus driver was very competent - so it felt safe. You do need to know that this is oriented to locals rather than tourists - that's fine but it does mean the the bus will stop up to a dozen times to pick people up on the side of the road - and squeeze then in the aisles between the seats. It would be great if the Sapa Express bus could schedule a morning trip from Sapa to Hanoi. To the man without the people skills - we understand that you don't enjoy your station in life much. You could achieve so much more with some interpersonal development work.Just saying ....... Back to the intention of the review - the Sapa Express bus is great".